Last month, Wyoming and Montana wildlife biologists successfully completed two bighorn sheep relocations in an effort to boost herds that needed a bit of help. In Wyoming, biologists captured 24 bighorn sheep in the Devil’s Canyon and released them in the Ferris-Seminoe Mountains. 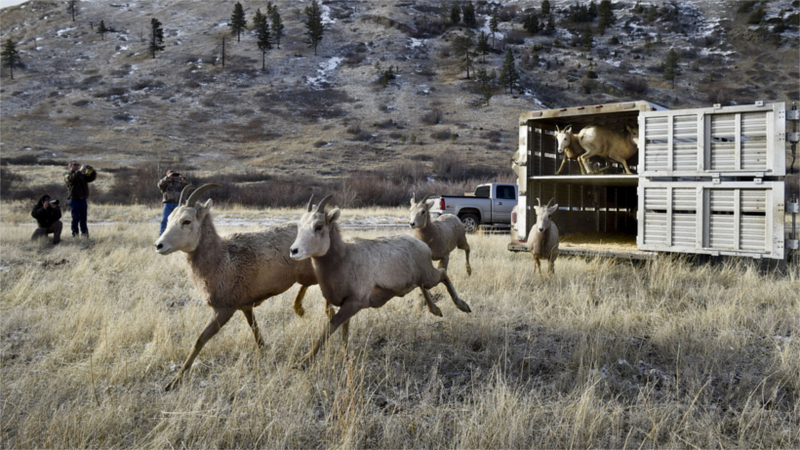 In Montana, 20 bighorn sheep were relocated from the Missouri River Breaks to the Beartooth Wildlife Management Area. “Right now, we’ve got the habitat and they’ve got the surplus sheep; we might as well put the two together,” Greg Hiatt told The Powell Tribune. 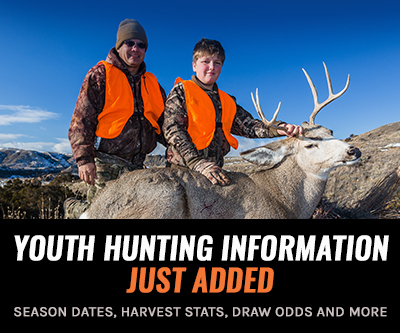 Hiatt is the Wyoming Game and Fish Department’s (WGFD) Sinclair-based wildlife biologist in charge of the Ferris-Seminoe herd. With so many bighorn sheep die-offs over the last decade, biologists are trying to stabilize herds and determine what’s causing the sheep to die. 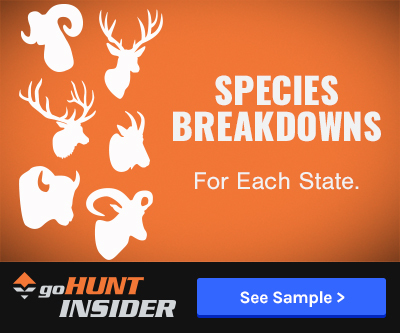 Unfortunately, the primary cause is most likely bacterial pneumonia – a disease that wild bighorns catch through contact with their domestic counterparts. The Devil’s Canyon herd has been closely monitored and deemed “disease free” which is why it was selected as a good herd for Wyoming’s relocation project, according to The Powell Tribute. In Montana, there has been concern over the overabundance of bighorns in Hunting District 482, which prompted Montana Fish, Wildlife and Parks (MFWP) to relocate some of the bighorn sheep in this district to another area. According to The Missoulian, the Missouri River Breaks is known for “producing some of the largest rams harvested by hunters each year.” By relocating the excess bighorn sheep, it will give the animals more room to roam – something MFWP biologists hope helps keep disease at bay. Herds in the Highlands, Rock Creek and Bitterroot have all experienced massive die-offs; the Missouri River Breaks herd has not, according to The Missoulian. Since both states are relocating bighorn sheep to prime habitat, biologists remain optimistic that these relocation efforts will help floundering herds become once again sustainable.